Tropical dry blend of spices from the beautiful Island of Mauritius made in Ireland by Shakeel (Owner of Spice Devils). 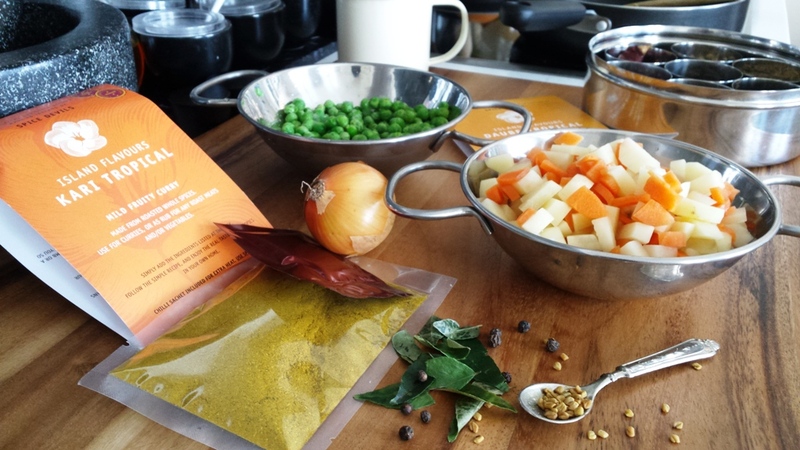 I was sent few spice mix sample to try and I have created a very simple recipe for you. A versatile dish you can create and enjoy however you wish. The spice mixture is so easy to use; it has a lovely taste of fresh roasted whole spices, all incorporated and blended together. An easy and versatile mixture you can use as a marinade, as a dry spice rub on meat, fish or vegetable and also perfect as a cooking spice. My version is a Samosa filling and lunch time sandwich filler. 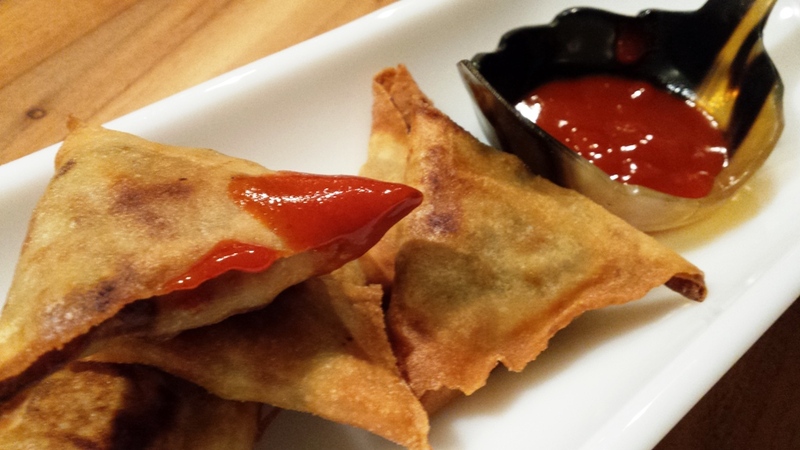 Samosas I believe do not need an introduction. 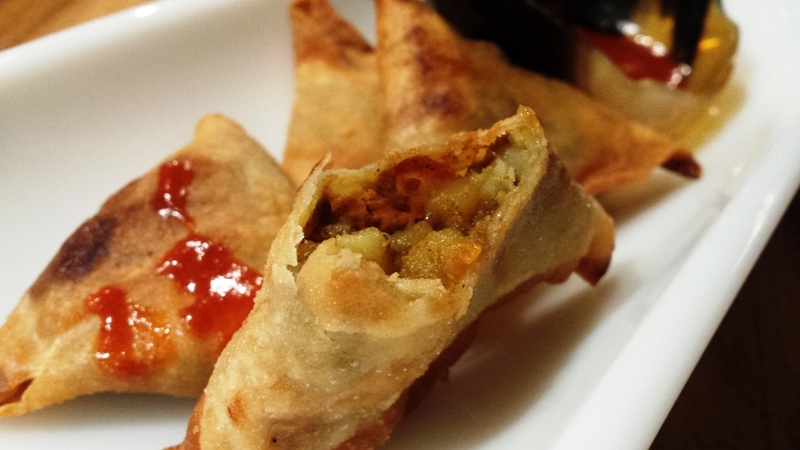 These traditional triangular shaped snacks crispy on the outside filled with either vegetables or meat. Amongst one the very famous Indian snack available on the market that can be found in most Indian shops, supermarket and street food stalls. 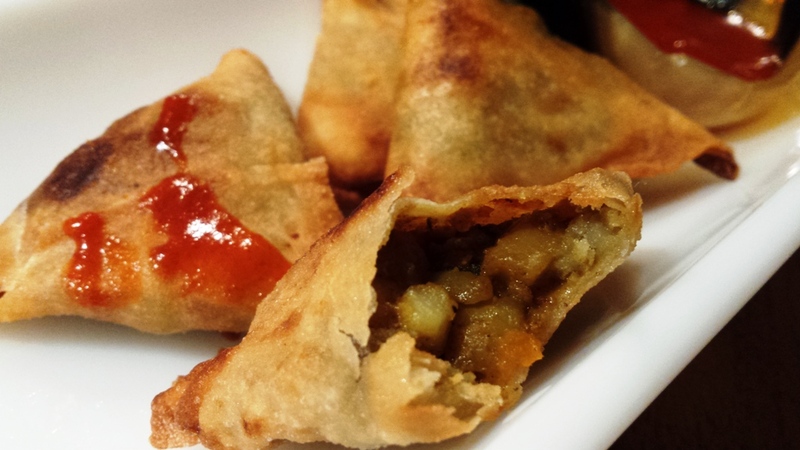 Making traditional samosas at home is not difficult as one may think. I would say it is rather a very satisfying thing to do, since you can decide the filling you wish to add and as we all know nothing beats homemade food. As far as the filling is concerned it is very much a personal choice, my first choice is indeed potato and peas filling. This reminds me of school days as we used to stop by the street food stall after school before heading off to private tuition. Buying hot samosas for afternoon tea break snack was a real treat. Piping hot with coriander chutney wrapped in a big sheet of paper or sometimes newspaper – oh my god this takes me back memory lane. Sweet times and sweet memories, but now I can make them myself and enjoy these little snacks anytime. Steam the chopped potatoes and carrots in the microwave with a little bit of salt and a drizzle of water, for 2-4 minutes or until just tender. Heat oil in a kadai or saucepan, add oil and fry the onion until golden and translucent. Add cumin, Devils spices, chilli powder, ginger and garlic, curry leaves, asafoedida and fry gently. Mix well, cook for 2-3 minutes. Add the precooked potatoes and carrots, season and cook on low heat for another 20 minutes. Five minutes before turning the heat off add the peas, stir well. Turn off the heat; add the coriander leaves stir and leave to cool. Stuffing is ready for the samosas. Remove the pastry sheet from the packaging. Place on a board and cut each the sheets into 3 equal sized strips. Peel off one by one carefully. Keep covered with clean wet kitchen cloth to keep it damp and avoid drying as instructed on the pack. Starting from one end of the strip fold one third into a triangle then fold upon itself to form a pocket. Spoon the prepared stuffing into the pocket. Now carefully place on the work surface, spread a little flour paste and fold again to shape the triangle and enclose the stuffing. Using more flour paste to seal any open ends or edges. 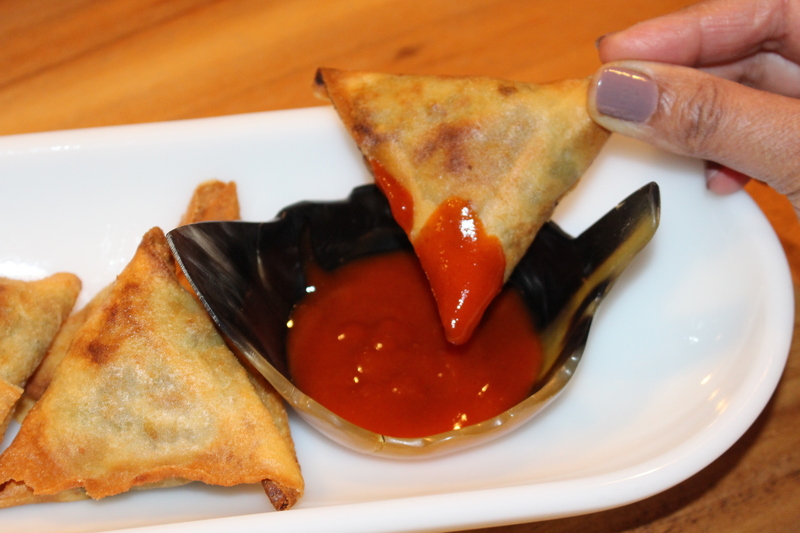 Keep the prepared samosas covered as well, preferable with wet kitchen cloth for this too. Once done store in an airtight container until ready to fry. Heat oil and deep fry both sides on medium flame until golden brown. Serve with a chutney of your choice or on its own as you prefer. 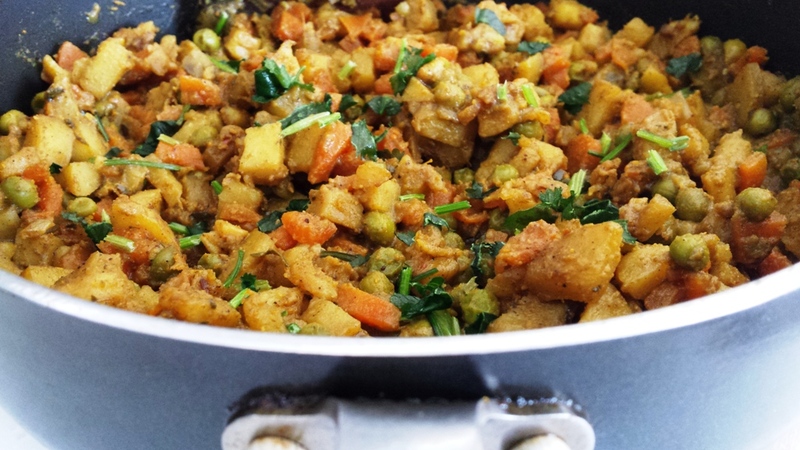 Brinda’s Note: This curry dish makes a great vegetarian accompaniment side dish with rice, chapatti or pharatas.